The Rivers State Police Command has seized a fake police officer in Port Harcourt. Representative of the Command, Nnamdi Omoni in an announcement acquired by GIFTEDBLOG, said the impersonator recognized as Benjamin Tanko was captured in Eleme region of the State. "The Rivers State Police Command in her proceeded with assurance and tenacious endeavors in battling every criminal component in the State, on 13/9/17 at around 0945 hrs captured a fake Police Sergeant, Mr Benjamin Tanko an indigene of Kajuru in Kajuru LGA of Kaduna State. 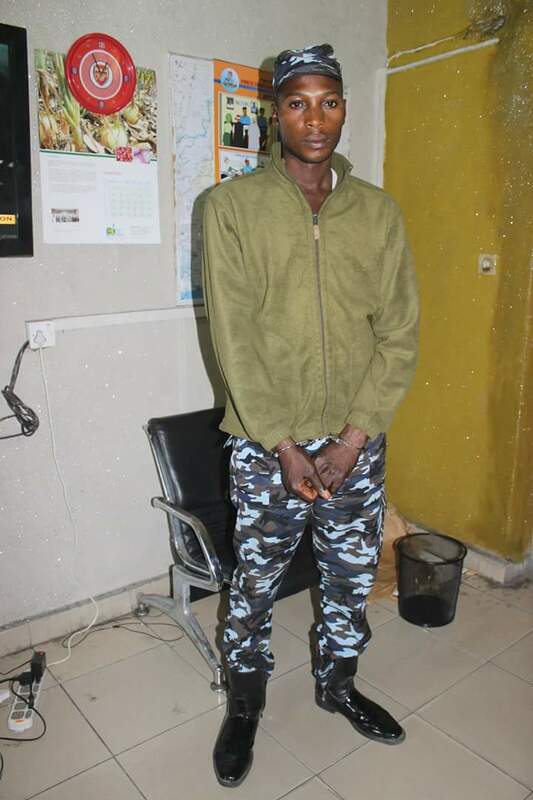 "He was captured in a Police Camouflage at the Oil Mill Motor Park by Men of the CP Monitoring Unit drove by the officer in-control, Sp Grace Wonwu. "The speculate who guaranteed to be an Assistant Superintendent of Police joined to the Port Harcourt Area Command is helping the Police in Investigation and will be charged when examination is finished. "Things found on him incorporate; three diverse Police I.D cards with various force numbers. "The CP wishes to speak to general society to keep on supporting the Police with helpful data," the announcement read.